This image from the Digitized Sky Survey shows galaxy NGC 7714 and its surroundings. This galaxy is in the process of merging with its neighbour NGC 7715, which is also visible in this wide-field image. Together, these two form the merging pair Arp 284. 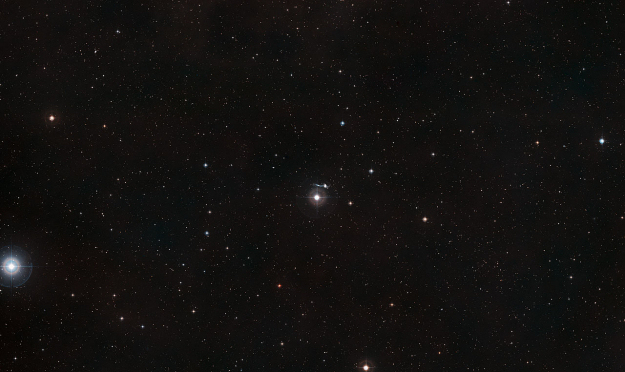 In this image, the bright star you can see on the left is around a billion times closer than the galaxy.